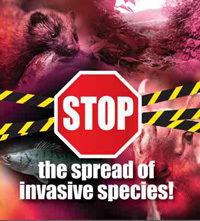 Invasive Species Ireland has produced biosecurity guidance in the form of Codes of Practice for key activities that are known to be facilitate the introduction of invasive species to Ireland and Northern Ireland. Many non-native species do not become invasive but provide considerable benefits to society and industries such as horticulture, agriculture, forestry and aquaculture. Therefore, management of the problem requires engagement and consultation with commercial interests. The development of Codes of Practice is aimed at reducing the risk from, and impacts of, invasive species and protecting native biodiversity. It is not seeking to stop the use of non-native species or impede the development of a particular sector on the island of Ireland. Analysis of the pathways by which species are arriving in Ireland and spreading has identified key sectors whose activities can contribute to the spread of invasive species. These sectors are also part of the solution and can play an important role in invasive species management. CoPs are voluntary measures promoting types of behaviour. Compliance with CoPs will prevent the spread of invasive species and ensure compliance with legislation. A positive outcome of the development of any CoP will be an increased awareness of the potential impacts associated with invasive species. This will hopefully lead to the particular sector voluntarily adopting practices that limit the spread of high impact invasive species now and in the future. Increased awareness will also contribute to surveillance for potential invaders and better information on the distribution of species already established in Ireland. CoPs are more rapid than and responsive to emerging threats and data than legislation. They enable flexible responses in changing circumstances. Invasive Species Ireland is working with industry sectors and interest groups to develop CoPs for key sectors which will be supported by targeted education and awareness initiatives. More details on specific CoPs can be found by clicking the links below. Find out more about what horticulturists can do to help stop the spread of invasive species.